tices in 2013. 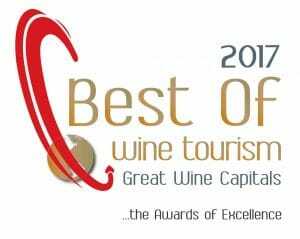 Chateau Feely is delighted at this recognition in the face of competition from top chateaux of Bordeaux. Read about the Great Wine Capitals blog post about Chateau Feely. Sean and Caro Feely have been militant about organic production since they bought the vineyard in 2005. At the time only 1% of France’s total vineyard area was organic, today 9% is organic. 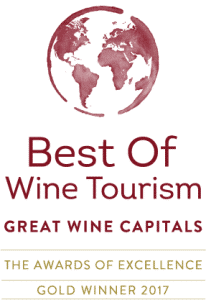 The result of their tenacity and conviction can be tasted in the wines – Feely wines are sought after locally and served in four Michelin starred restaurants in the Dordogne, the department in South West France where the vineyard is located. The thread of ecology and organic farming runs through Caro Feely’s third book about the Feely’s adventures in France, ‘Glass Half Full’, to be published by Summersdale April 2017. In keeping with the theme, Caro will speak at Litfest 2017 19-21 May at Ballymaloe, a Litfest whose focus will be on food and drink literacy (provenance) rather than Food and Drink Literature. Sean and Caro Feely moved from Dublin city to pursue their dream of organic wine farming in France eleven years ago. 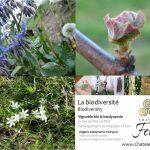 They make certified organic and biodynamic wine (www.chateaufeely.com ); offer luxury ecological accommodation, a wine school and multi day wine tours including vineyard walking tours (details at www.frenchwineadventures.com). Caro’s books published by Summersdale include Grape Expectations, Saving our Skins, Glass Half Full (out April 2017) and Wine, the essential Guide. 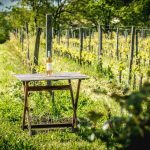 The Chateau Feely blog explores the theme of why choose organic wine? Food and wine pairing and wine.